Customer info and needs: The Hoffman Auto Group decided to open an Audi Dealership in East Hartford Ct. 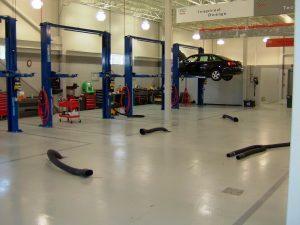 The building would have a 12,000 sf service department. 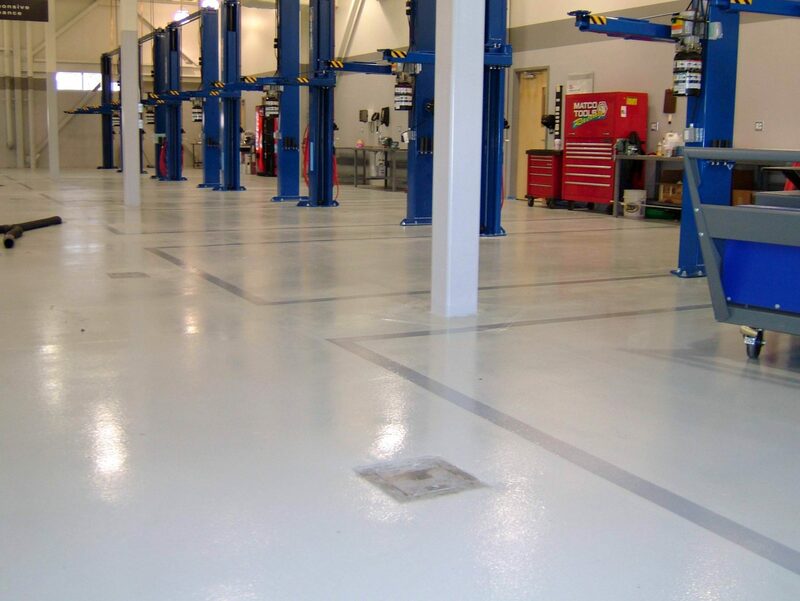 Hoffman wanted an epoxy flooring system in this area because they needed a floor surface that would be easy to clean, slip and impact resistant, durable and have a world class appearance. 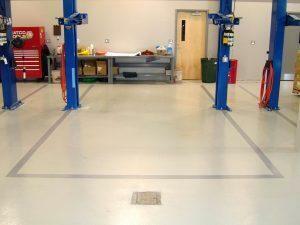 Our recommendation: We specified a 1/8th inch, epoxy/urethane, shop floor system. We specified shot-blasting as the method of preparation and safety stripes around the work areas. Shot-blast concrete to attain the proper surface profile. Apply a 100% solids, pigmented epoxy primer. Apply a 100% solids, pigmented epoxy base coat. Apply a 100% solids, pigmented epoxy grout coat. Apply a 100% solids, chemical resistant urethane. This project came out flawless. The customer was very happy. The installation team that installed this project was from our Southwick Ma office.